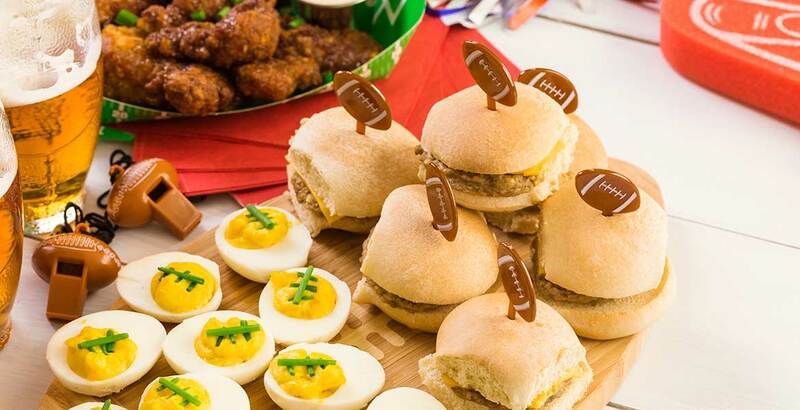 Football season is here, and many fans are holding tailgates to cheer on their favorite teams. Oklahoma State University’s Robert M. Kerr Food & Agricultural Products Center wants to keep your food safe and recommends food safety tips for those participating in tailgating activities. Follow these tailgating food safety tips to ensure you have a fun and safe football season. Pack cooler with ice or frozen gel packs. Raw meats, pre-made dishes and leftovers need to go in the cooler. Store meats near the bottom of the cooler. Separate and securely wrap all cooler items. Use separate plates and cutting boards for raw and cooked proteins. Prevent cross-contamination by using separate utensils for each item. Use color-coded knives to help keep you organized. Pre-heat gas or electric grills for 10-15 minutes before cooking. Pre-heat charcoals for 20-30 minutes before cooking. Pre-heating allows food to cook evenly. Never partially grill foods and then finish later. A food thermometer is the only reliable way to ensure food is safe to eat. Hamburgers and brats need to be at least 160 degrees Fahrenheit. Steaks and chops need to be at least 145 degrees Fahrenheit. If re-heating an item, such as pre-cooked hot dogs, cook to 165 degrees Fahrenheit. Chicken breasts need to be cooked to at least 165 degrees Fahrenheit. Keep hot foods hot, at least 140 degrees Fahrenheit. Keep cold foods cold, at least 40 degrees Fahrenheit. Throw away or put perishable foods in the cooler before heading to the game. Foods should not be left out for more than 1 hour if it is above 90 degrees Fahrenheit outside. Place leftovers in shallow containers to prevent bacteria growth. For more information about food safety, text FAPC to 80802 to download the free FAPC Connect app or visit www.fapcconnect.com.